What Put These Five Stocks in the Spotlight on Friday? The U.S stock market opened mixed on Friday amid lower-than-expected consumer spending data for September. The data shows weak pressure on inflation and diminishes the odds of an interest rate hike in December, which the Fed hinted at during its latest meeting. However, macroeconomic factors aside, stocks are taking their course today fueled by different developments, such as earnings announcements and acquisitions. Let’s take a look at five stocks that are in the spotlight today and see the reasons behind their moves. In addition, we will look at how the hedge funds and other investors from our database have been trading these stocks. We follow over 730 investors as part of our small-cap strategy and it allows us to see which stocks these funds are bullish on, and which ones they are not big fans of. However, our strategy focuses on the 15 most popular small-cap stocks among the funds we track and it has returned 102% since August 2012, beating the S&P 500 ETF (SPY) by some 53 percentage points (see more details here). One of the stocks that is on a path to end Friday’s trading session among the top gainers is LinkedIn Corp (NYSE:LNKD), whose shares have climbed by over 13% on the back of its third quarter results, which included earnings of $0.78 and revenue of $780 million, which topped the estimates of $0.46 and $756 million respectively. The company posted a 20% increase in the number of members to 396 million, including 13 million members in China (the numbers there have increased threefold from the beginning of 2014 when it launched a Chinese-language version). For the fourth quarter and full year 2015, LinkedIn Corp (NYSE:LNKD) expects revenue in the range of $845 million-to-$850 million and $2.975-to-$2.98 billion, respectively, with fourth-quarter non-GAAP EPS projected at $0.74. Today’s growth puts the stock in the green in year-to-date terms, while its solid earnings and outlook should win back some of the bullish investors that the company lost. During the second quarter, the number of funds from our database that held shares of LinkedIn Corp (NYSE:LNKD) declined to 42 from 60 and they held in aggregate 6.90% of the company’s stock at the end of June. LendingClub Corp (NYSE:LC) is also trading higher on the back of financial results. The company reported turning its first profit since its IPO in December 2014, delivering EPS of $0.04, beating the estimates of $0.02. LendingClub also registered a 104% growth in revenue to $115.1 million, which was also higher than the $107.95 million projected by analysts. For the fourth quarter the company has increased its revenue guidance to between $128 million-and-$130 million, compared to the $122 million-to-$124 million expected earlier. For fiscal year 2015, LendingClub Corp (NYSE:LC) also increased its outlook, with it now expecting revenue in the range of $420 million-to-$422 million, versus a previous projection of between $405 million-and-$409 million. During the second quarter, the number of funds bullish on LendingClub went up to 26 from 18, while the aggregate value of their stakes was equal to 7.40% of the company’s shares. Among them, David Gallo‘s Valinor Management held the largest stake, containing 14.40 million shares. Billionaires John Griffin and Jim Simons were also bullish on LendingClub Corp (NYSE:LC) heading into the third quarter. 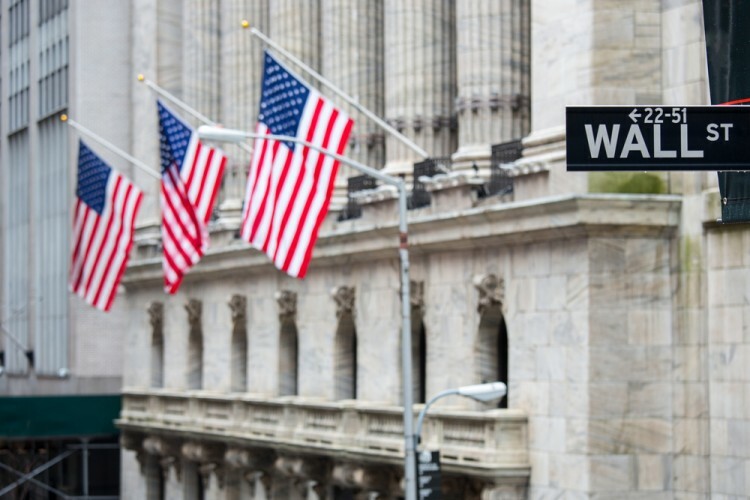 On the next page, we are going to take a look at the developments that stand behind the moves of three other financial stocks: KeyCorp (NYSE:KEY), First Niagara Financial Group Inc. (NASDAQ:FNFG), and New York Community Bancorp, Inc. (NYSE:NYCB).